In using The Cheapest Mattress service, you are deemed to have accepted the terms and conditions listed below. All products/services and information displayed on The Cheapest Mattress constitute an “invitation to offer”. Your order for purchase constitutes your “offer” which shall be subject to the terms and conditions as listed below. The Cheapest Mattress reserves the right to accept or reject your offer. If you have supplied us with your valid email address, we will notify you by email as soon as possible to confirm receipt of your order and email you again to confirm details and therefore process the order. Our acceptance of your order will take place upon dispatch of the product(s) ordered. No act or omission of The Cheapest Mattress prior to the actual dispatch of the product(s) ordered will constitute acceptance of your offer. While The Cheapest Mattress strives to provide accurate product and pricing information, pricing or typographical errors may occur. The Cheapest Mattress cannot confirm the price of a product until after you order. 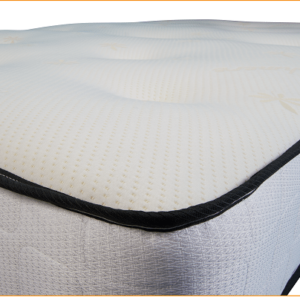 In the event that a product is listed at an incorrect price or with incorrect information due to an error in pricing or product information, The Cheapest Mattress shall have the right, at our sole discretion, to refuse or cancel any orders placed for that product, unless the product has already been dispatched. In the event that an item is mis-priced, The Cheapest Mattress may, at its discretion, either contact you for instructions or cancel your order and notify you of such cancellation. Unless the product ordered by you has been dispatched, your offer will not be deemed accepted and The Cheapest Mattress will have the right to modify the price of the product and contact you for further instructions using the e-mail address provided by you during the time of registration, or cancel the order and notify you of such cancellation. In the event that The Cheapest Mattress accepts your order the same shall be debited to your credit card account and duly notified to you by email that the payment has been processed. The payment may be processed prior to The Cheapest Mattress dispatch of the product that you have ordered. If we have to cancel the order after we have processed the payment, the said amount will be reversed back to your credit card account. We strive to provide you with the best prices possible on The Cheapest Mattress as well as in all our stores The Cheapest Mattress . However, sometimes a price online does not match the price in a store. In our effort to be the lowest price provider in your particular geographic region, store pricing will sometimes differ from online prices. Prices and availability are subject to change without notice. In case we receive a cancellation notice and the order has not been shipped by us, we shall cancel the order and refund the entire amount. The orders that have already been shipped out by us will not be cancelled and you will have to check our return policy on those orders. The customer agrees not to dispute the decision made by The Cheapest Mattress and accept The Cheapest Mattress ‘s decision regarding the cancellation. You agree, understand and confirm that the credit card details provided by you for availing of services on The Cheapest Mattress will be correct and accurate and you shall not use the credit card which is not lawfully owned by you, i.e. in a credit card transaction, you must use your own credit card. You further agree and undertake to provide the correct and valid credit card details to The Cheapest Mattress . Further the said information will not be utilized and shared by The Cheapest Mattress with any of the third parties unless required for fraud verifications or by law, regulation or court order. The Cheapest Mattress will not be liable for any credit card fraud. The liability for use of a card fraudulently will be on you and the onus to ‘prove otherwise’ shall be exclusively on you. The Cheapest Mattress reserves the right to recover the cost of goods, collection charges and lawyers fees from persons using the Site fraudulently. The Cheapest Mattress reserves the right to initiate legal proceedings against such persons for fraudulent use of the Site and any other unlawful acts or acts or omissions in breach of these terms and conditions. 1. That in the event that a non-delivery occurs on account of a mistake by you (i.e. wrong name or address or any other wrong information) any extra cost incurred by The Cheapest Mattress for redelivery shall be claimed from you. 2. That you will use the services provided by The Cheapest Mattress , its affiliates, consultants and contracted companies, for lawful purposes only and comply with all applicable laws and regulations while using the Site and transacting on the Site. 3. You will provide authentic and true information in all instances where such information is requested of you. The Cheapest Mattress reserves the right to confirm and validate the information and other details provided by you at any point of time. If upon confirmation your details are found not to be true (wholly or partly), The Cheapest Mattress has the right in its sole discretion to reject the registration and debar you from using the Services of The Cheapest Mattress and / or other affiliated websites without prior intimation whatsoever. The Cheapest Mattress may at any time modify the Terms & Conditions of Use of the site without any prior notification to you. You can access the latest version of the User Agreement at any given time on The Cheapest Mattress . You should regularly review the Terms & Conditions on The Cheapest Mattress . In the event the modified Terms & Conditions is not acceptable to you, you should discontinue using the service. However, if you continue to use the service you shall be deemed to have agreed to accept and abide by the modified Terms & Conditions of Use of this site. All reviews, comments, feedback, postcards, suggestions, ideas, and other submissions disclosed, submitted or offered to The Cheapest Mattress on or by this Site or otherwise disclosed, submitted or offered in connection with your use of this Site (collectively, the “Comments”) shall be and remain The Cheapest Mattress property. Such disclosure, submission or offer of any Comments shall constitute an assignment to The Cheapest Mattress of all worldwide rights, titles and interests in all copyrights and other intellectual properties in the Comments. Thus, The Cheapest Mattress owns exclusively all such rights, titles and interests and shall not be limited in any way in its use, commercial or otherwise, of any Comments. The Cheapest Mattress will be entitled to use, reproduce, disclose, modify, adapt, create derivative works from, publish, display and distribute any Comments you submit for any purpose whatsoever, without restriction and without compensating you in any way. The Cheapest Mattress is and shall be under no obligation (1) to maintain any Comments in confidence; (2) to pay you any compensation for any Comments; or (3) to respond to any Comments. You agree that any Comments submitted by you to the Site will not violate this policy or any right of any third party, including copyright, trademark, privacy or other personal or proprietary right(s), and will not cause injury to any person or entity. You further agree that no Comments submitted by you to the Site will be or contain libelous or otherwise unlawful, threatening, abusive or obscene material, or contain software viruses, political campaigning, commercial solicitation, chain letters, mass mailings or any form of “spam”. The Cheapest Mattress does not regularly review posted Comments, but does reserve the right (but not the obligation) to monitor and edit or remove any Comments submitted to the Site. You grant The Cheapest Mattress the right to use the name that you submit in connection with any Comments. You agree not to use a false email address, impersonate any person or entity, or otherwise mislead as to the origin of any Comments you submit. You are and shall remain solely responsible for the content of any Comments you make and you agree to indemnify The Cheapest Mattress and its affiliates for all claims resulting from any Comments you submit. The Cheapest Mattress and its affiliates take no responsibility and assume no liability for any Comments submitted by you or any third party. The Cheapest Mattress and its suppliers and licensors expressly reserve all intellectual property rights in all text, programs, products, processes, technology, content and other materials, which appear on this Site. Access to this Site does not confer and shall not be considered as conferring upon anyone any license under any of The Cheapest Mattress or any third party’s intellectual property rights. All rights, including copyright, in this website are owned by or licensed to The Cheapest Mattress . 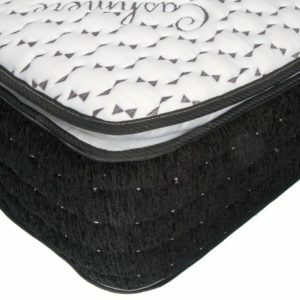 Any use of this website or its contents, including copying or storing it or them in whole or part, other than for your own personal, non-commercial use is prohibited without the permission of The Cheapest Mattress . You may not modify, distribute or re-post anything on this website for any purpose. The Cheapest Mattress names and logos and all related product and service names, design marks and slogans are the trademarks or service marks of The Cheapest Mattress . All other marks are the property of their respective companies. No trademark or service mark license is granted in connection with the materials contained on this Site. Access to this Site does not authorize anyone to use any name, logo or mark in any manner. References on this Site to any names, marks, products or services of third parties or hypertext links to third party sites or information are provided solely as a convenience to you and do not in any way constitute or imply The Cheapest Mattress endorsement, sponsorship or recommendation of the third party, information, product or service. The Cheapest Mattress is not responsible for the content of any third party sites and does not make any representations regarding the content or accuracy of material on such sites. If you decide to link to any such third party websites, you do so entirely at your own risk. You understand that by using this Site or any services provided on the Site, you may encounter Content that may be deemed by some to be offensive, indecent, or objectionable, which Content may or may not be identified as such. You agree to use the Site and any service at your sole risk and that to the fullest extent permitted under applicable law, The Cheapest Mattress and its affiliates shall have no liability to you for Content that may be deemed offensive, indecent, or objectionable to you. You agree to defend, indemnify and hold harmless The Cheapest Mattress , its employees, directors, officers, agents and their successors and assigns from and against any and all claims, liabilities, damages, losses, costs and expenses, including attorney’s fees, caused by or arising out of claims based upon your actions or inactions, which may result in any loss or liability to The Cheapest Mattress or any third party including but not limited to breach of any warranties, representations or undertakings or in relation to the non-fulfillment of any of your obligations under this User Agreement or arising out of the your violation of any applicable laws, regulations including but not limited to Intellectual Property Rights, payment of statutory dues and taxes, claim of libel, defamation, violation of rights of privacy or publicity, loss of service by other subscribers and infringement of intellectual property or other rights. This clause shall survive the expiry or termination of this User Agreement. This User Agreement is effective unless and until terminated by either you or The Cheapest Mattress . You may terminate this User Agreement at any time, provided that you discontinue any further use of this Site. The Cheapest Mattress may terminate this User Agreement at any time and may do so immediately without notice, and accordingly deny you access to the Site, Such termination will be without any liability to The Cheapest Mattress . Upon any termination of the User Agreement by either you or The Cheapest Mattress , you must promptly destroy all materials downloaded or otherwise obtained from this Site, as well as all copies of such materials, whether made under the User Agreement or otherwise. The Cheapest Mattress ‘s right to any Comments shall survive any termination of this User Agreement. Any such termination of the User Agreement shall not cancel your obligation to pay for the product already ordered from the Site or affect any liability that may have arisen under the User Agreement. 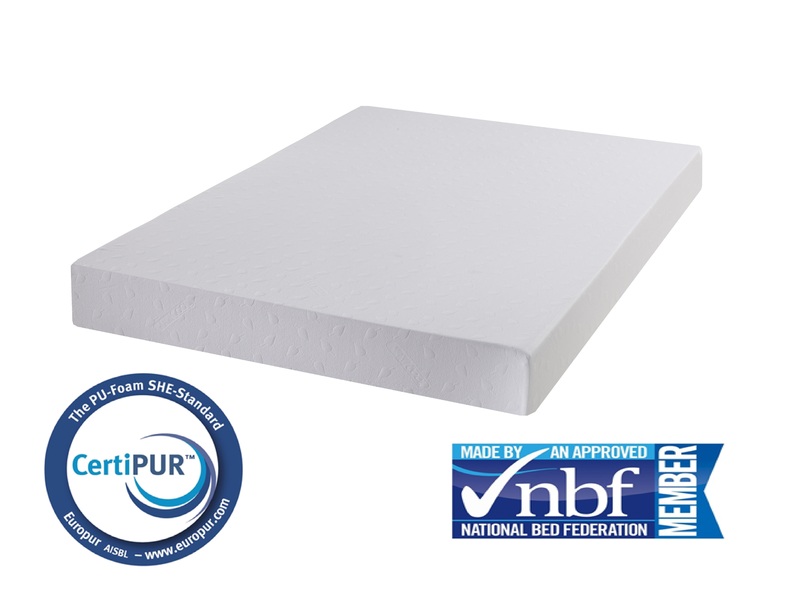 The Site provides content from other Internet sites or resources and while The Cheapest Mattress tries to ensure that material included on the Site is correct, reputable and of high quality, it cannot accept responsibility if this is not the case. 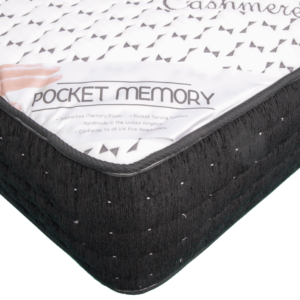 The Cheapest Mattress will not be responsible for any errors or omissions or for the results obtained from the use of such information or for any technical problems you may experience with the Site. To the fullest extent permitted under applicable law, The Cheapest Mattress or its suppliers shall not be liable for any indirect, incidental, special, incidental, consequential or exemplary damages, including but not limited to, damages for loss of profits, goodwill, use, data or other intangible losses arising out of or in connection with the Site, its services or this User Agreement. Without prejudice to the generality of the section above, the total liability of The Cheapest Mattress to you for all liabilities arising out of this User Agreement be it in tort or contract is limited to the value of the product ordered by you. The Cheapest Mattress , its associates and technology partners make no representations or warranties about the accuracy, reliability, completeness, current-ness and/or timeliness of any content, information, software, text, graphics, links or communications provided on or through the use of the Site or that the operation of the Site will be error free and/or uninterrupted. Consequently, The Cheapest Mattress assumes no liability whatsoever for any monetary or other damage suffered by you on account of the delay, failure, interruption, or corruption of any data or other information transmitted in connection with use of the Site; and/or any interruption or errors in the operation of the Site. You are prohibited from violating or attempting to violate the security of the Site, including, without limitation, (a) accessing data not intended for you or logging onto a server or an account which you are not authorized to access; (b) attempting to probe, scan or test the vulnerability of a system or network or to breach security or authentication measures without proper authorization; (c) attempting to interfere with service to any other user, host or network, including, without limitation, via means of submitting a virus to the Site, overloading, “flooding,” “spamming,” “mail bombing” or “crashing;” (d) sending unsolicited email, including promotions and/or advertising of products or services; or (e) forging any TCP/IP packet header or any part of the header information in any email or newsgroup posting. Violations of system or network security may result in civil or criminal liability. The Cheapest Mattress will investigate occurrences that may involve such violations and may involve, and cooperate with, law enforcement authorities in prosecuting users who are involved in such violations. You agree not to use any device, software or routine to interfere or attempt to interfere with the proper working of this Site or any activity being conducted on this Site. You agree, further, not to use or attempt to use any engine, software, tool, agent or other device or mechanism (including without limitation browsers, spiders, robots, avatars or intelligent agents) to navigate or search this Site other than the search engine and search agents available from The Cheapest Mattress on this Site and other than generally available third party web browsers (e.g., Netscape Navigator, Microsoft Explorer). If any part of this agreement is determined to be invalid or unenforceable pursuant to applicable law including, but not limited to, the warranty disclaimers and liability limitations set forth above, then the invalid or unenforceable provision will be deemed to be superseded by a valid, enforceable provision that most closely matches the intent of the original provision and the remainder of the agreement shall continue in effect. Unless otherwise specified herein, this agreement constitutes the entire agreement between you and The Cheapest Mattress with respect to the The Cheapest Mattress sites/services and it supersedes all prior or contemporaneous communications and proposals, whether electronic, oral or written, between you and The Cheapest Mattress with respect to the The Cheapest Mattress sites/services. The Cheapest Mattress ‘s failure to act with respect to a breach by you or others does not waive its right to act with respect to subsequent or similar breaches.